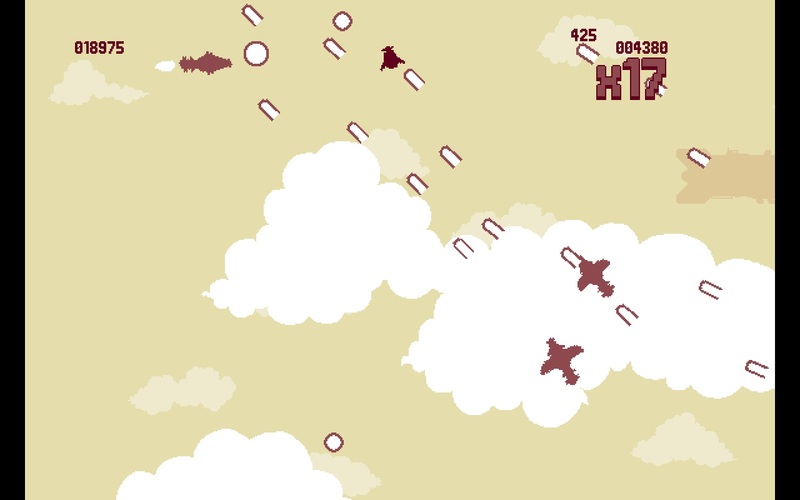 Luftrausers is an arcade-style shmup with free range of movement. It’s also got an interesting visual style. Also I died taking you this screenshot, and it had absolutely nothing to do with being in range of three aces and a flak barrage. The design here is pretty tight. Getting a decent score is dependent on keeping your multiplier maxed (at 20x), but you heal when you aren’t firing. Therefore a hit-and-run mentality will let you live longer, but you’ll end up with less points than if you live dangerously. There’s a number of weapons, engines, and body types available to unlock and switch between, which should give you something to match your favoured playstyle. I’m not sure it has the depth or skill development required to make it an always installed game on my HD, but I’ve certainly enjoyed my time with it.